Good start of the week, people! For some days it seemed like winter was over, here in Milano, but apparently we’ll have to wait a bit longer. Nevertheless I’ve decided to share a somewhat summery recipe feat. the greatest winter fruit: pomegranate!! (for me it ties with oranges btw). Raw buckwheat porridge! Even though it’s eaten cold I have to say I’m not one of those people who, in the colder months, have to drink and/or eat something warm first thing in the morning; indeed, most days I just have some fruit for breakfast. When I have more time – read: when I don’t go to the gym or when I go at night – I make a warm matcha tea full of warming spices. It doesn’t really matter to me what I eat in the morning, as long as it’s sweet, and as long as I eat something at all! Ahahaha. Def not a savory breakfast person, except maybe avocado toast but good avos are so expensive I actually haven’t had one in months!! 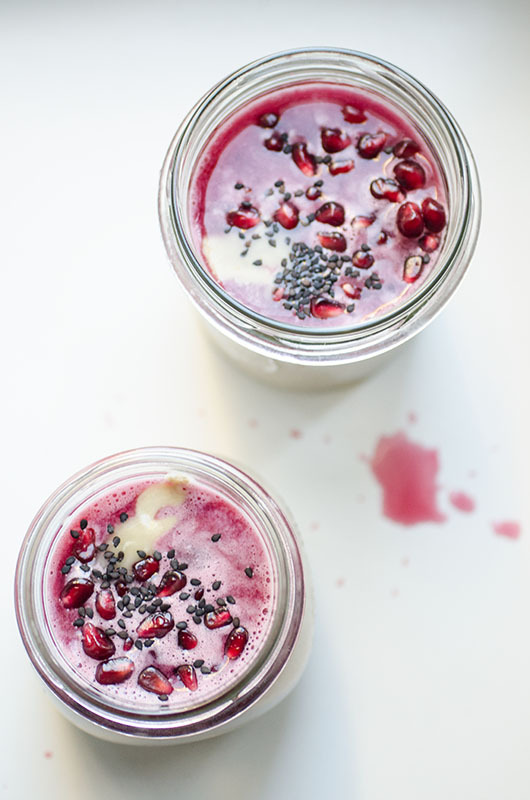 This raw buckwheat porridge is easy and quick to prepare (you just soak the buckwheat overnight, then blend everything and add the toppings), super creamy and would pair with any fresh fruit, I used pomegranate seeds + juice simply because they’re delicious, in season and beautiful! Note: to get it really creamy use a powerful blender. Since I don’t have one, I used a simple food processor first and then an immersion blender! 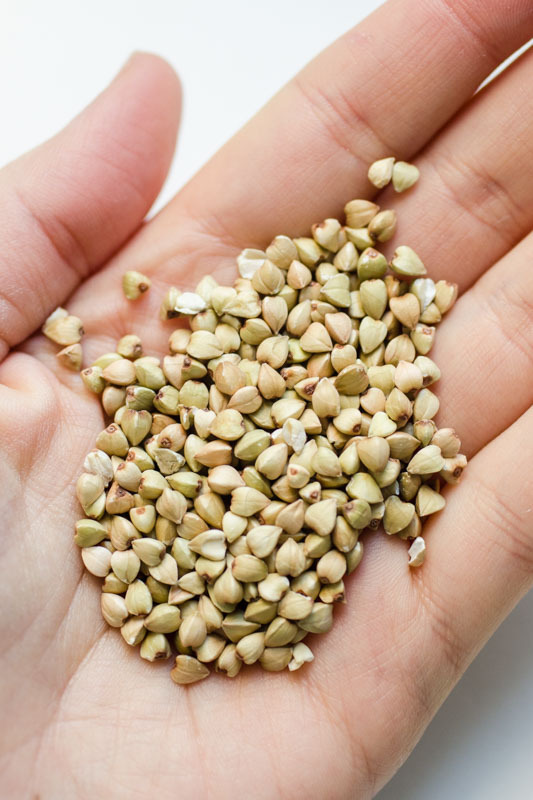 Soak buckwheat groats in warm water and 1 tbsp lemon juice overnight. Then rinse and drain. 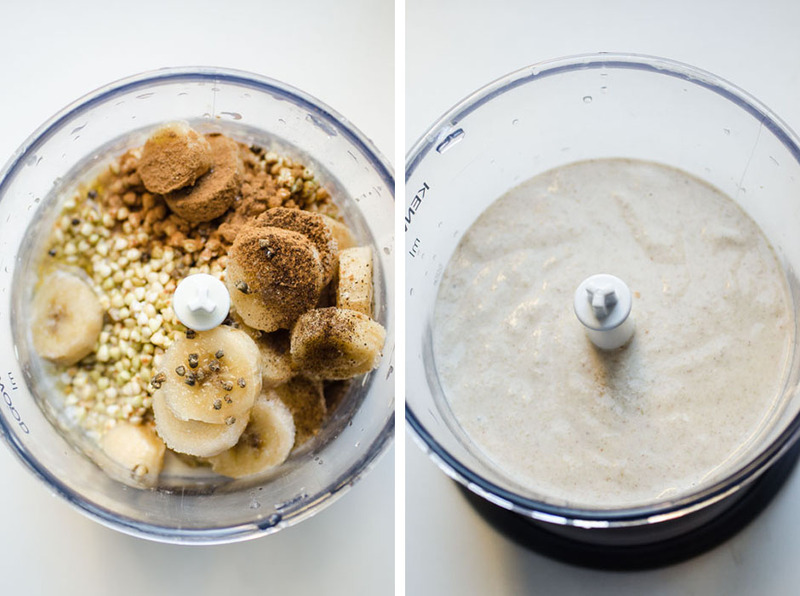 Blend together buckwheat, milk, banana, maple syrup, salt, more lemon juice, cardamom, vanilla and cinnamon (lemon and spices to taste) until a creamy consistency is achieved. Transfer to three bowls/glasses/small jars. Rinse out your blender. Add about 2/3 of the pomegranate seeds, blend, then use a metal sift to filter the juice. Pour juice over porridge bowls. 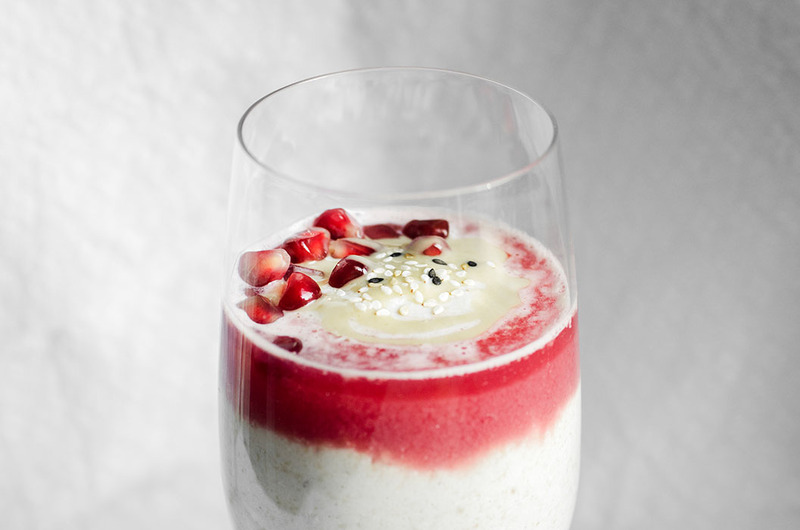 Swirl in 1 tbsp tahini each, along with a few extra pomegranate seeds and some sesame seeds. Sembra molto golosa come idea! 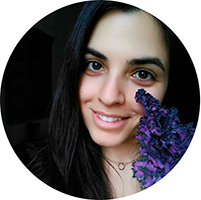 Io sono sempre alla ricerca di qualcosa di alternativo (non necessariamente vegano o crudista) che mi faccia conoscere nuovi sapori. Ora che si avvicina la bella stagione questo mi sembra l’ideale.